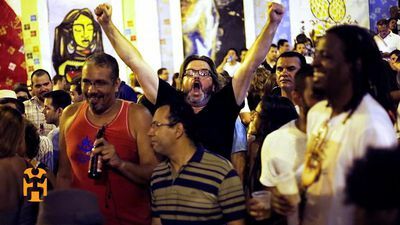 Discover the true spirit of Carnaval with World Nomads’ Chris Noble as he travels to Rio De Janeiro, Brazil, to attend the famous parade and check out the many street parties in Rio’s neighbourhoods. 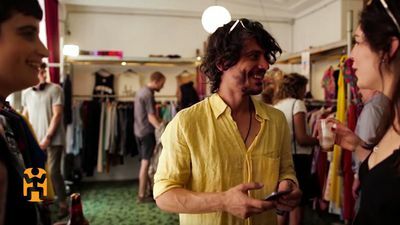 Follow World Nomads' Chris Noble into Rocinha - Brazil’s largest favela - as he discovers a very different side to Rio away from the non-stop partying. 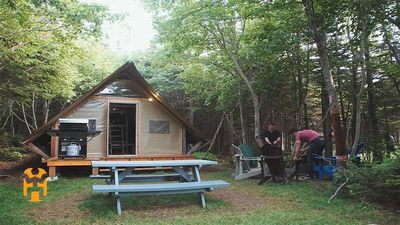 Join Will McCloy from World Nomads as he glamps in Gros Morne National Park in Newfoundland, Canada. Despite the comforts, Will is surrounded by Canada’s extraordinary scenery. 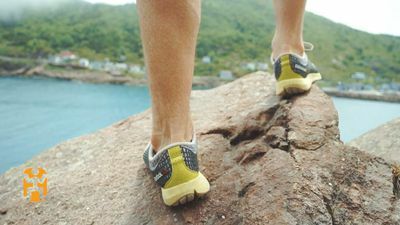 Join World Nomads’ Will McCloy as he travels to the wilderness of Canada, straps on his boots, and discovers the stunning hiking trails the country is famous for. Catch football fever in Brazil with World Nomads’ Chris Noble as he travels to Rio De Janeiro and witnesses the next generation of Brazilian football stars as they go head-to-head. 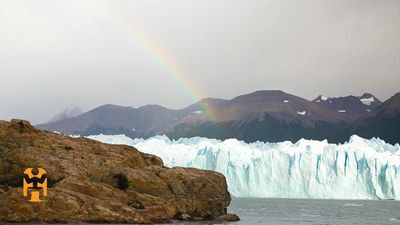 Travel with Will McCloy from World Nomads to Newfoundland in Canada as he embarks on a white- water rafting adventure, and experiences the thrill of hitting the rapids of Exploits River. 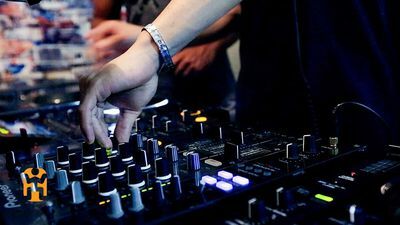 Travel to Rocinha, the largest favela in Brazil, with World Nomads’ Chris Noble as he discovers Spin Rocinha - a program providing young local people with a way to develop djing skills. 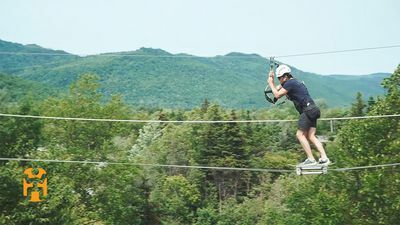 Join World Nomads’ Will McCloy 300ft above Marble Mountain, on the west coast of Newfoundland, Canada. 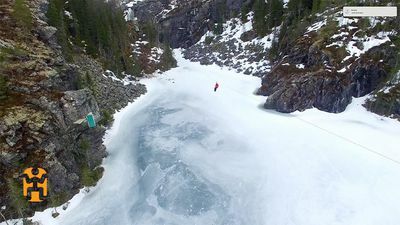 Will gets his adrenalin-pumping on a zip lining adventure, with a cheeky Canadian prank. 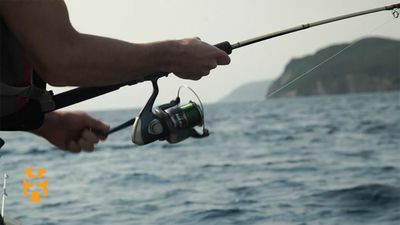 Go on a rare cod fishing adventure to Gros Morne National Park in Newfoundland, Canada with World Nomads’ Will McCloy. 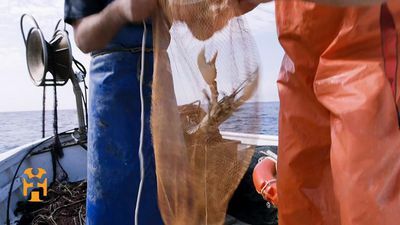 Allowed for just 20 days a year, can Will land a great catch? 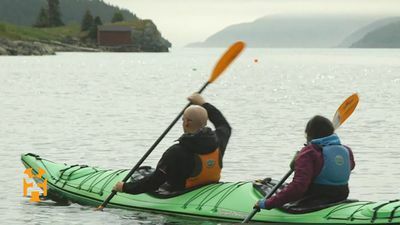 Discover the serenity of Canada’s Newfoundland with World Nomads’ Will McCloy, as he sea kayaks through the fascinating caves and around the cliffs of Cape Broyle, carefully avoiding the whales. 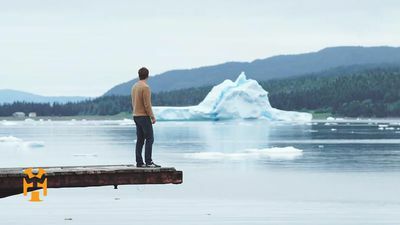 Join Will McCloy from World Nomads an on iceberg hunt in Newfoundland, as he hopes to catch sight of the snow-white and aqua-blue formations as they float down to Canada from Greenland. 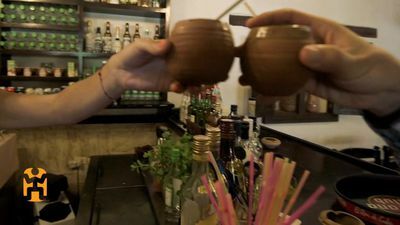 Travel to Cuba with World Nomads’ Mabel Moreno as she learns how to make the national cocktail, the Canchanchara - a delicious rum-based cocktail that captures the spirit of the locals. 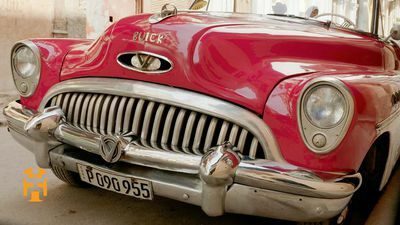 Join Mabel Moreno from World Nomads as she travels to Cuba and takes to the romantic streets of Trinidad, discovering the magic of the old town hidden in the Cuban mountains. 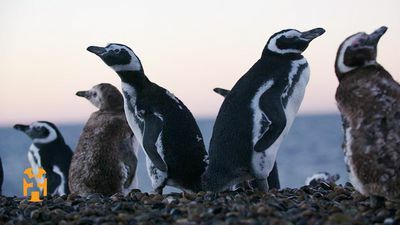 Watch as World Nomads travels to Puerto Madryn, Patagonia to meet Argentinian marine biologist, Dr Pablo Garcia Borboroglu, to learn about the magallenic penguins of Patagonia. 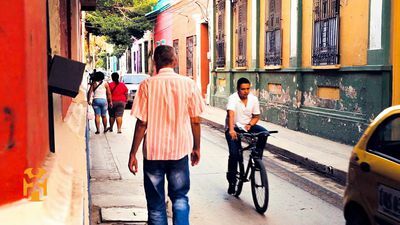 Travel with World Nomads’ Mabel Moreno to Cuba as she explores the vibrant country from a local’s perspective, from the mosaic-filled town of Jaimanitas, to the green sanctuary of Parque Almendares. 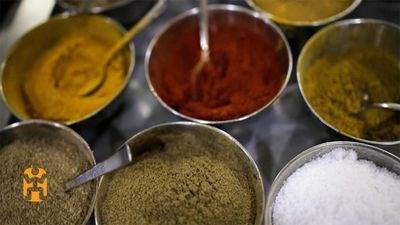 Each region in India has its own food traditions, spices and flavors. 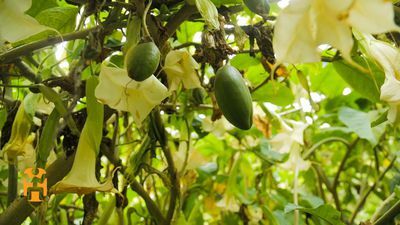 Travel with World Nomads’ Caroline Pemberton as she educates her belly in Mumbai, Kerala and Varanasi. 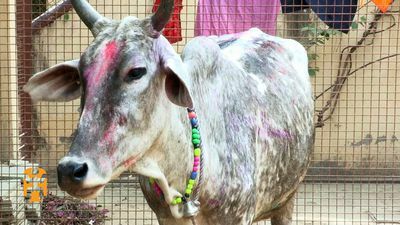 Discover why World Nomads’ Andre Bolourchi smears himself with cow dung during his travels in Vrindavan, India. 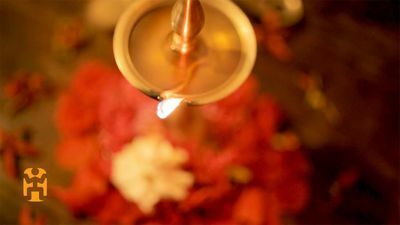 From martial arts to healthy living, a vast range of our customs can be traced back to India. 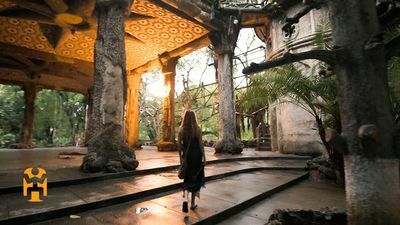 Travel with World Nomads’ Caroline Pemberton as she discovers some ancient traditions and rituals. 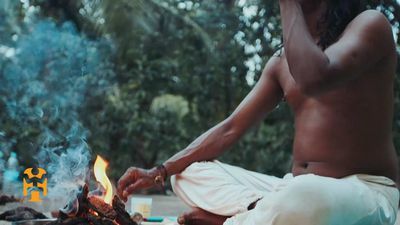 Discover the stunning beaches of Goa as World Nomads’ Andre Bolourchi travels to India on a yoga adventure, where he meets with a modern-day Holy man on his search for spiritual insight. 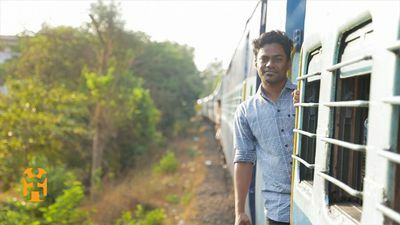 Navigating India’s chaos is challenging, but traveling by train is an exhilarating experience not to be missed. Join Caroline Pemberton from World Nomads as she takes to Northern India’s railway. Travel with Caroline Pemberton from World Nomads as she discovers the Indian youth that are breaking stereotypes in the Dharavi slum of Mumbai, India, and how they're uniting through dance. Join Caroline Pemberton from World Nomads as she travels to Mumbai. Here she meets inspirational local women, who remind her India is an overwhelmingly hospitable and safe place to travel. 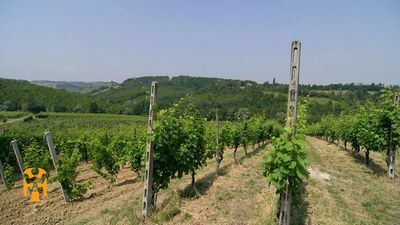 Travel with World Nomads’ Sofia Levin to the Langhe & Roero region, in the northwest Italy, as she discovers rolling hills of vineyards, and indulges in amazing cheeses and wines. 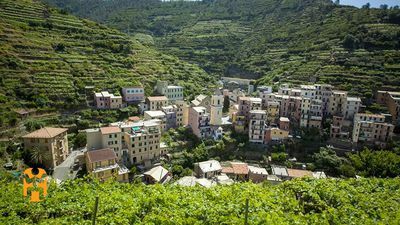 Travel to the Italian Rivera with World Nomads’ Elena Valeriote as she discovers how agriculture has thrived in coastal Cinque Terre despite the rugged mountain landscape. 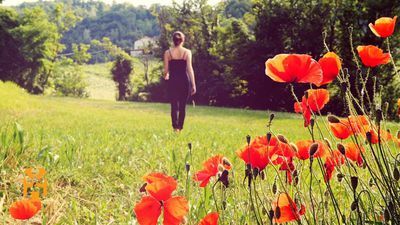 Join World Nomads’ Elena Valeriote as she travels to Italy and battles sea-sickness after taking to the rough waters off Italy's famed Cinque Terre coast. 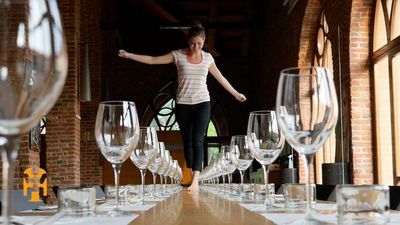 Watch as World Nomads’ Sofia Levin shares her visual poem, At Home in Langhe, inspired by her culinary travels through the region of Langhe & Roero in northwest Italy. 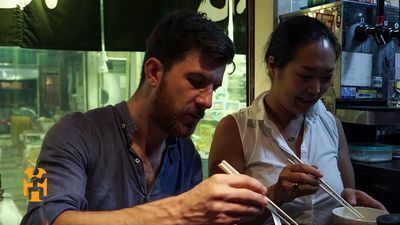 Join Tri Phan Quoc from World Nomads as he travels to Italy where he meets with a local wine producer and explores the magical vineyards a wine-tasting journey. In Nepal, World Nomads’ Will McCloy attends a Nepalese wedding, and discovers two sides to the festivities; one part devoted to quiet, the other an explosion of noise and color. 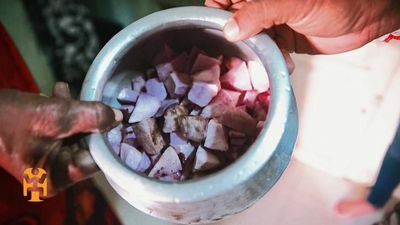 Travel with Will McCloy from World Nomads as he enjoys the spices and flavors of Nepalese food, including the ubiquitous Dal Bhat, and learns the traditional way to cook water buffalo. 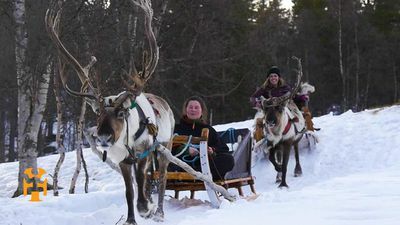 Travel with World Nomads’ Colleen Hagerty to Røros, a UNESCO World Heritage village, as she takes in the sites and taste of this fascinating place, including a relaxing reindeer sledding trip. 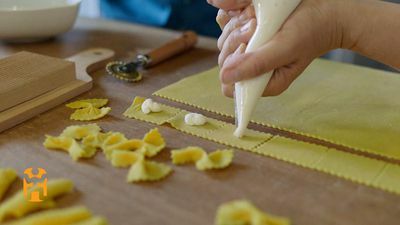 Travel with World Nomads’ Tri Phan Quoc to Italy’s famous Emilia-Romagna region where he gets a lesson from local Maria on how to make fresh pasta from scratch. 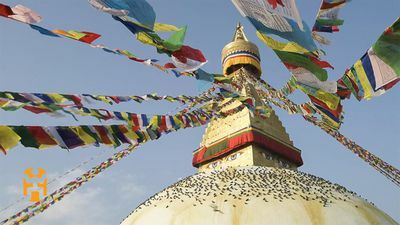 Travel with Will McCloy from World Nomads to the chaotic epicentre of Nepal, Kathmandu, where discovers that when it comes to the bustling city, there’s an abundance of beauty among the chaos. Join World Nomads’ Colleen Hagerty as she straps on her skis for a lesson with an Olympic champion, and discovers how cross-country skiing and range shooting go hand-in-hand in Norway. 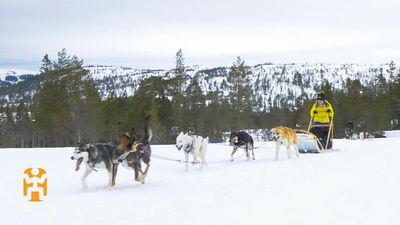 Join World Nomads’ Colleen Hagerty in TrØndelag to test out one of Norway’s most traditional modes of transport, dogsledding, and discovers that it takes skill to master mushing a team of huskies. 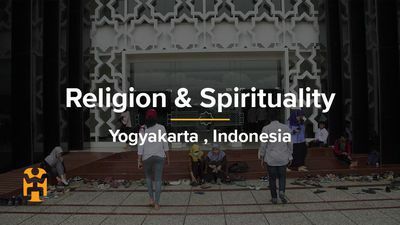 Join Will McCloy from World Nomads in Nepal where he discovers the rich blend of Buddhism, Hinduism and Tantrism - the diverse religions that form a part of everyday Nepalese life. 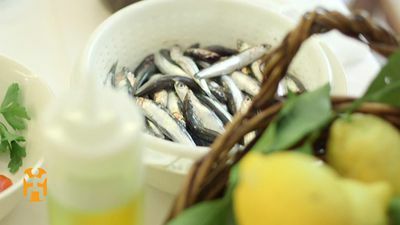 Travel with World Nomads' Elena Valeriote to the cliffs of Cinque Terre in Italy, where she's invited into a local home, and battles the language barrier to learn age-old traditional cooking methods. 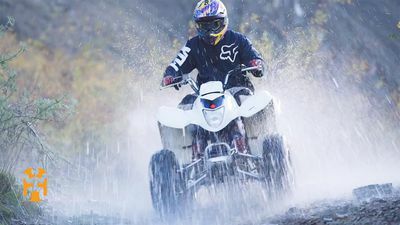 Join World Nomads’ Jabari Smith as he gets rough and muddy in Queenstown, New Zealand, on a wicked quad biking, off-road adventure in search of an adrenalin rush with epic views. 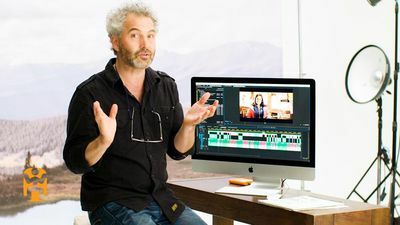 Travel to Bogota, Colombia with World Nomads’ Stephanie Hunt, where she learns about borrachero, a mind-controlling drug that’s a common and dangerous method used to kidnap and rob users. 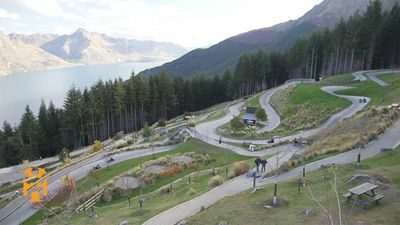 Join World Nomads’ Jabari Smith in Queenstown, New Zealand for a fast-paced luging adventure. High above Lake Wakatipu, Jabari speeds down the run, taking in the stunning views to the Remarkables. 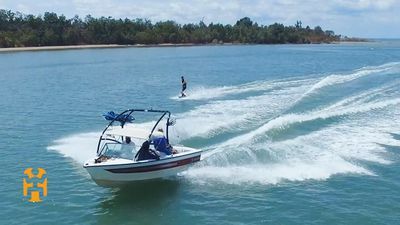 Quench your thirst for adventure and get your heart racing in New Zealand with a river-boarding trip. 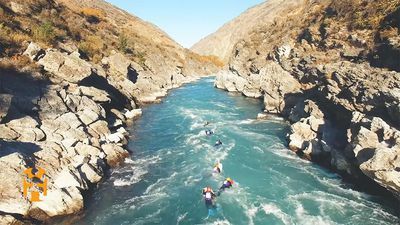 World Nomads’ Jabari Smith tries this epic experience, and rides the rapids of Queenstown. Are You a Cocaine Tourist? Travel to Colombia with World Nomads’ Stephanie Hunt as she learns about one of the country’s most notorious exports, cocaine, and the mass damage it’s caused to Colombian society. 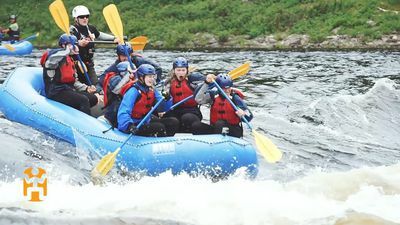 Travel with World Nomads’ Colleen Hagerty to Teveldal in Meråker, Norway, as she has an epic zip lining experience, climbing high and then zooming through the treetops of Rypetoppen Adventure Park. 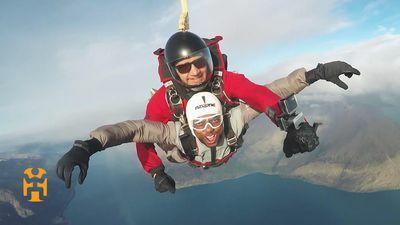 Join World Nomads’ Jabari Smith as sees the world from a new perspective – after jumping from a plane, 15,000 feet above the epic Queenstown landscape in New Zealand. 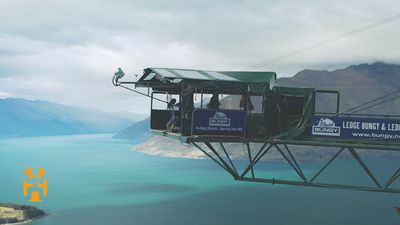 Would you launch yourself off the 440-foot Nevis Bungy in Queenstown, New Zealand? Watch to see what it took to get World Nomads’ Jabari Smith across the line and over the edge. 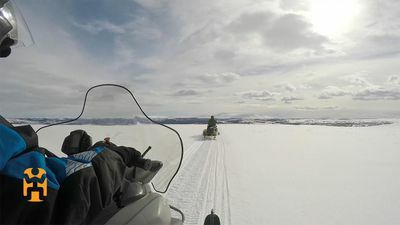 Join World Nomads’ Colleen Hagerty as she speeds across Norway’s stunning countryside on a snowmobile, coming across a few surprises along the way, plus ice fishing to catch dinner. 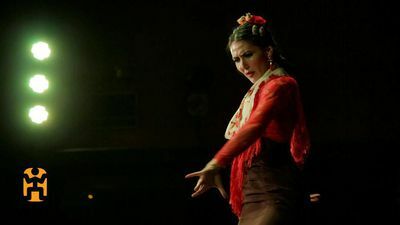 Join World Nomads’ Aube Rey Lescure on a road trip through Spain as she shares a series of poetic vignettes to ignite your senses, and inspire you to visit Andalusia on the country’s southern coast. Discover Madrid, the culinary capital of Spain, with World Nomads’ Nicola Moores as she reflects on her experiences as a nomad. 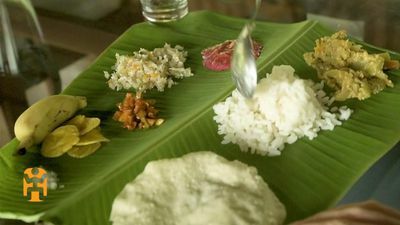 Travel with World Nomads’ Mahsa Fratantoni to the largely unknown area of Jaffna, in northern Sri Lanka, where she connects with a local family over spicy curries.